How to adjust Location Pin's location? Since it can't always be guaranteed that the map will pick up the exact location, we have made it so you can adjust the pin's location manually if needed. 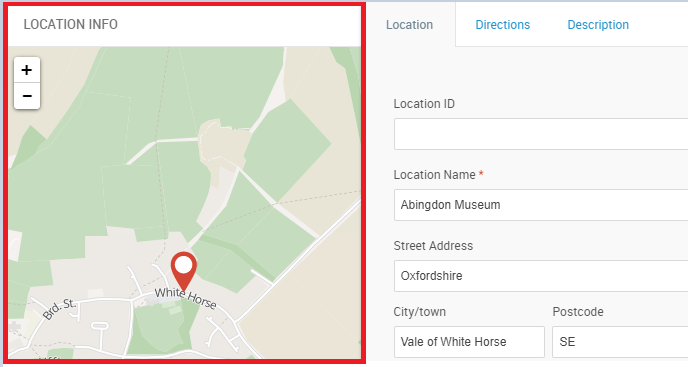 When setting up a new location, as the last step of the process, we do recommend to make sure at once that the pin is in the correct location on the map. 3. In the Location Info box that opens, drag the map underneath the pin until the pin is in the correct location. If the pin shows in another city - zoom out, drag the map so the pin would be in the correct city, and then zoom in again to find the exact location.